Look into this snapping turtle's eyes. You are looking at a creature that swam with the dinosaurs. Not this particular turtle, perhaps, but the design has remained unchanged for eons. This time of year, turtles are everywhere, as the females leave the lakes looking for a nice sandy place to lay their eggs. Mark found this one near his cottage. David, Sarah and Mike all came over to help relocate the turtle back to the lake -- the direction in which she was heading when she was found. Sarah took this photos, and they are incredible. Look at the nails on the feet, the pointed beak on the mouth. Note also that Dave is wearing heavy gloves, and is holding the turtle carefully by the carapace and well to the back of the shell. This turtle was very co-operative -- a better way, should you encounter one and need to move it, is to take hold of the very base of the heavy tail, and slide your other hand under the turtle's belly -- like lifting a pizza. Here's a video that shows you how! That head can snake around remarkably fast, and the turtle's jaws are well capable of removing a careless finger. Most turtle species are really easy to move -- just pick them up. The snapper is another story. They are quite terrified of people when they are on land, and being unable to retreat inside their shells, they feel very threatened and vulnerable. With their long neck, they can actually reach all the way back to their hind feet, and over the top of their shell well past the mid-point. You probably don't want your hands in that zone... Like any animal put in a position like that, they will try to defend themselves. The rescue mission: Dave, Mike and Mark. A female snapping turtle is 20 years old before she can lay eggs in soft sandy soil. The snapper lays its eggs in the summer in soft earth or in sand on sandy beaches, railroads and road beds. There are usually from 20 to 30 eggs in a clutch, although as many as 80 have been recorded. Hatching usually occurs in late August or September. Snapping turtles can lay 30 eggs a year for 30 years. By helping rescue one that is on the highway, you may have helped 900 future turtles. The Muskoka Wildlife Centre has two young snappers... Junior and Sam. Stop in and visit them. They've also got some amazing facts about snappers, you can find at their link here. This turtle was helped back to the lake... once in her own element, she was very happy. Turtles pose no threat to swimmers, and they are truly extraordinary creatures, so remember, this turtle season, GIVE TURTLES A BRAKE. And if you need to assist one across a highway, please be careful, both for yourself and the turtle! Labels: snapping turtle. Safe way to move a turtle. Bondi Village REsort. Lake of Bays. Muskoka Wildlife Centre. She found these tracks up in the gravel pit near the road, sure sign that the wolf pack is back in town. Mind you, we've heard the pack howling, so we were already notified, but it's always interesting to see the tracks. That can give an idea of how many animals are in the pack, and the relative ages. Our pack will be part of the Algonquin Park wolf population. The Eastern Canadian Gray Wolf has been extensively studied in Algonquin Park, and is a protected species. Since wolves aren't good at reading maps, the protected area extends into a 'buffer zone' around the Park, and Bondi Village is located within that zone. This is the largest area in the world where the Eastern Canadian Wolf is protected. 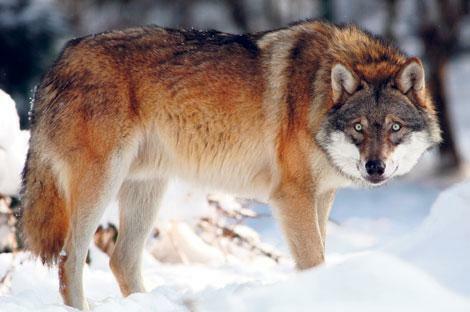 Research (published by 15 scientists in the Canadian Journal of Zoology, Volume 78, 2000) concluded that the Eastern Canadian Wolf is distinct from the more numerous Gray Wolf (Canis lupus) and more closely related to the Red Wolf (Canis rufus), which is on the brink of extinction in the southeastern United States. Due to the lower frequency of coyote hybridization, the park may hold the purest remnant population of red wolves in the world. During August, the Park hosts weekly Wolf Howls, an event that offers people the chance to hear wild packs howling in the wilderness night. This routinely draws up to 2000 people each week. The Rangers do an incredible job, opening with a talk and slide show on the wolf research done in the Park, and then moving cars and people into the wild. We offer our own Wolf Howl evenings here at Bondi. Always, the response is dependent on the wolf pack -- if they are in close, they may well reply. 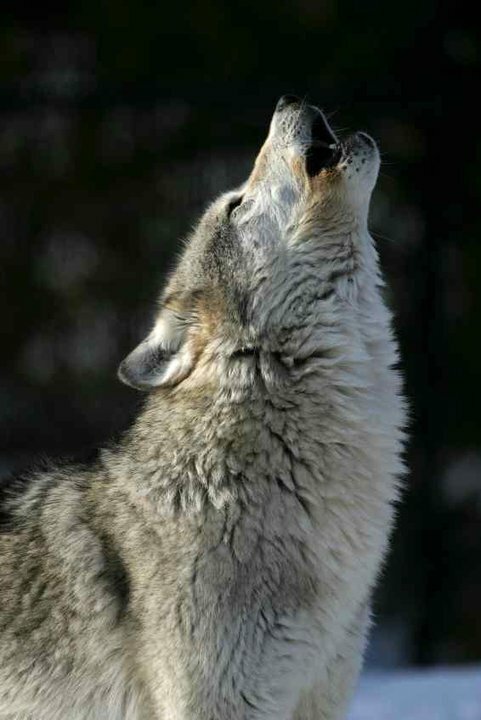 If not, then (as Mike says) my howling efforts can be an epic fail, but we have had howling success more often than not! And the lawn here is most certainly less crowded! August is the preferred month -- when the wolf cubs are coming out of the dens, they stay at home while the pack goes hunting -- and the puppies are always more than willing to start a group sing! Labels: Algonquin Park. Wolves in Ontario. 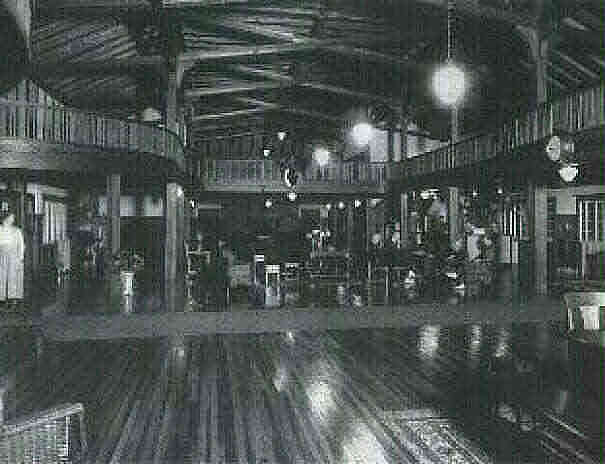 Bondi Village REsort. Wildlife in Ontario. Wolf Howls. 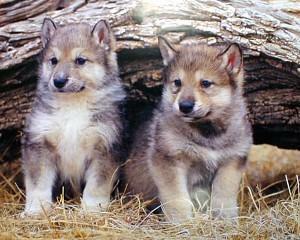 Eastern Timber Wolves. Walked up the road tonight to our Pioneer Fields. Just across from the Firehall, this lovely doe went on 'high alert' when she saw me. She didn't run far, just into the bush. Two other deer were also up there, and leapt off into the bracken fern. The lilac tree that is part of the memorial garden up there is just coming into bloom. This is a different type of French lilac, which blooms much later than our indigenous ones. It is quite striking. and yes, it is also fenced to keep it away from the hungry mouths of the deer. By the end of the week, it should be in full bloom. Down at the Resort, the Mock Orange tree is covered with blossom and smells wonderful. But so do the back fields. The wild strawberries are ripe -- they are tiny tiny tiny, but the flavour makes them well worth the gathering. Hiding under the leaves, they can be hard to spot, but the whole field smells of strawberries. Just in time to welcome back our monarch butterflies, the milkweed is putting on its own flower show. We've seen some monarchs flitting about already. They will be laying eggs on the milkweed now, and hopefully there will be a HUGE crop of these lovely butterflies later in the season. The blackberries are in bloom in the back field as well. The blueberries are done blooming and are starting to set fruit. All of which makes a walk through the fields a smorgasbord experience. Ponies, Puppies, Sarah... What a Mix! Sarah's back! Carol's grand-daughter spends a few weeks with us each summer, and she's a lot of fun to have here. This year, she made friends with Taffy the new poodle puppy in about .0002 seconds. They were chasing each other on the lawn, going so fast that Taffy wiped out -- turning three somersaults before returning to the chase. She is also learning how to work Squeegee the Wonder Pony "in hand". That is work without a rider, on a long line, that helps improve the pony's bend and balance. This also improves the concentration and confirms the voice aids, and is an invaluable tool in the training of any horse or pony. It requires a lot of concentration from the handler as well, who must keep the pony moving forward on a round circle -- you can see from the tracks that she's done really well at that. The help Taffy provided was probably not as helpful as the puppy thought it was. Just before the Official First Day of Summer, Joan and her girls come for their annual get-together. There are games on the lawn, hikes in the woods, deer spotting -- and this year, a family of baby robins on the porch to be admired. There is time just hanging out on the dock. And time together on the dock, feeding the ducks, sharing good times, catching up. For families that are spread far apart, or simply find that the busy-ness of modern life prevents them from spending enough time together as a family, we are a haven. These are the times that refresh the spirit and create the memories that make families strong. We are always delighted to welcome home Joan and her daughters. They are part of the family. When the historic old Bigwin Rotunda came down several years ago, the local Heritage Committee was able to salvage windows and railings. 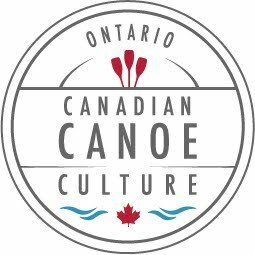 The Committee placed pieces with the local museums in Dorset and Huntsville, and some are destined for Gravenhurst's Grace and Speed museum as well. The idea was to save some of the history, get it preserved in museums for the public to see, and to sell the rest to raise money for Heritage Projects. Like the Dorset Heritage Walking Tour booklet. Historic markers. Doors Open events. Lots of good stuff. This spring, ads were run in the LOBA (Lake of Bays Association) flyer, and on-line, and we've been getting a decent response. It's amazing the purposes to which these old windows can be put. Art frames, mirror frames, garden accents are just a few of the ideas we've heard. Six pane, eight pane and twelve pane windows -- they don't make 'em like this anymore! -- are all available. Well, I have a short section that frames up my window plants. Who knows who leaned over this railing when it was in place in the Rotunda? The rich and famous flocked here. From its opening in 1920 Bigwin was THE place to go, attracting the likes of flying ace Billy Bishop, Group of Seven painter Franklin Carmichael; Glenn Gould, Ernest Hemingway, Donna Douglas, Clark Gable, the Rockefellers, William Wrigley (of Wrigley’s gum) and several Prime Ministers. During World War II, after the Netherlands fell, Her Royal Highness Princess Juliana spent her summers at Bigwin. The Constitution of the Netherlands was held in the office safe while she was in residence. Bondi Village held a close connection to Bigwin. The gravel that built the Inn came from our hill. Bigwin Inn still carries with it the romance of its past glory. You can find photos of the Inn here . Last night, coming home from putting the horses and chickens to bed, I was serenaded by the local wolf pack. They have not been around much this spring -- the pack moves around its territory, and during the late winter and spring, that took them away from here. I'm overjoyed that they are back in earshot. There is something magical about wild wolves howling, and each summer I take guests out after dark to listen for owls, howl for the wolves, and scope out the stars. That's a popular program -- recently, we offered an evening of Owls, Howls and Stars that Shine as an auction item for the local library in Baysville, and it was hotly contested, selling for $150.00. I've got my fingers crossed that the Barred Owls currently happily Whooo-ing on the northern hills, and the pack of wolves joyously singing on the eastern hill all hang around for the summer! Labels: Algonquin Timber Wolves. Bondi Village Resort.Lake of Bays. There's an old saying: "Busier than a long tailed cat in a room full of rocking chairs." It cannot hold a candle to the busy state of our birds right now. The eggs have hatched. There are babies in those nests. Babies with hungry little mouths that need feeding. Dad Bluebird stopped just long enough to catch his breath, one huge insect-for-lunch still in his beak. We know where he is nesting, so I keep trying to sneak up on these birds to get some photos. They are one of my favourites. Robins have nests everywhere it seems. A few years back, one even nested in the artificial trees we use as jump decoration in the indoor riding arena! This one found a nice snug spot over the light fixture on the porch at Beaver cottage. 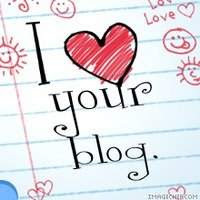 Our friend Jill is currently playin adoptive mom to a baby robin, dubbed Batman (not Robin) -- she's writing about the adventure on her Blog and finding it very hard work feeding just one. Our mom has three in the nest that we can spot. Maybe four. She's working her little toes off bringing them worms and insects, and was none too pleased to have people occupying "her" cottage this weekend. In the stable, the barn swallows have their babies hatched too. The parents are constantly swooping through the barn with hard-caught insects. It's been calculated that barn swallows fly about 600 miles per day just coursing back and forth after insects. No wonder Mom took this little moment to just sit and admire her offspring! All along the fence-line the tree swallow nests are also busy -- Carol was putting up some anti-deer fencing near one nest, and got thoroughly mobbed until they decided she wasn't out to bother them! Anyone interested in photography finds this a magic time of year -- the birds are returning over and over to the nests, so the opportunity to get that one wonderful photo is excellent. Now, if we can just stay ahead of Mr. Chipmunk, who also has a very sweet tooth and an eye for a bodacious berry! But this time, it is actually apt. Mike, our very valued member of the Bondi Maintenance Dept. and a good friend, worked at Grouse Mountain last winter (and spent all his free time skiing Whistler). 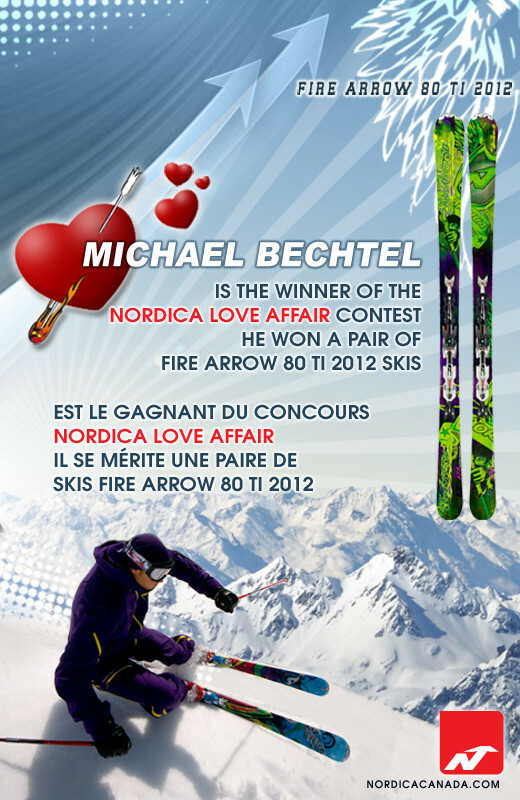 He has been holding out on me ... it wasn't until today that he told me he had wond the Nordica Love Affair Contest, which involved sending in an essay on why he loves Nordica skiis. He's not the owner of the Way Coolest skiis we've ever seen! The timing is such that he can't really get much use out of them... unless he can find a lake with hills this summer! But, even if we have to wait to see him 'shred the gnar' with these, we're really delighted that he won. All we need now is to schmooze Judi, Squeegee's owner, who knows Warren Miller... if we're really lucky, maybe we can snag an invitation next time he's visiting, and Mike can just sort of slide on in to the party. Labels: Nordica Love Affair. Skiing. Bondi Village Resort. Lake of Bays. She met the horses, and charmed Eddie with an offer of a carrot. She helped me collect the eggs, all toasty and warm from being under the chicken's warm feathers. She proved herself to be a true "chick magnet" -- or wait a minute, perhaps that was Jerry? He proved to be a hero -- paddling her across the bay like Cleopatra, although there were no fish to be caught on that excursion. 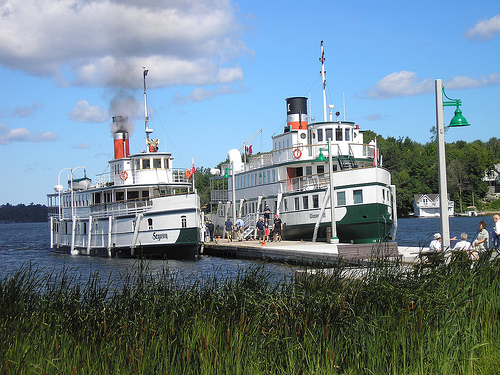 Today they went on a luncheon cruise on the Lady Muskoka, offering luncheon cruises out of Bracebridge. It might be a larger boat, but it didn't have Jerry at the helm! And despite the hectic pace, they all found some time to just enjoy hanging out in the lake! It was all about the water -- Donna enjoyed a fishing excursion in the rowboat, and later Brian took them all for a short tour of the lake in the big ski-boat. At this pace, she's going to need to rest to recover from her vacation! This is a Duskywing butterfly. With their delicate muted brown colours, these are often overlooked as they flit from flower to flower. A member of the Skipper family of butterflies, they are getting close to their northern range up here. They are not the only butterflies that are back with us -- the monarchs have arrived! These are the colourful, orange and black models with the big Wow factor. These are also the butterflies that lay their eggs, and whose caterpillars, feed exclusively on milkweed, so now would be a good time to ignore those milkweed in your garden or at the corner of the property. Just leave them be. Milkweed has a beautiful, delicate pink flower, and is quite showy. And it is the ONLY food the monarchs utilize. These butterflies are not going to pick at your petunias, gulp down your gladiolas, scarf down the salvia or nibble the nastursiums. They are going to munch the milkweed down into skeletal stalks, but never mind -- the result will be a flying garden of these extraordinary butterflies. Labels: monarch butterflies. duskywing butterfly. Bondi Village Resort. Milkweed. There's even more great reasons to spend some time in Dorset this year. Along with the launch last summer of the S.S. Bigwin ferry (she's still at the dock -- they have had to design, mill and build a boiler for her, and it's costing $$$ and time) there are some new stores along Main Street. 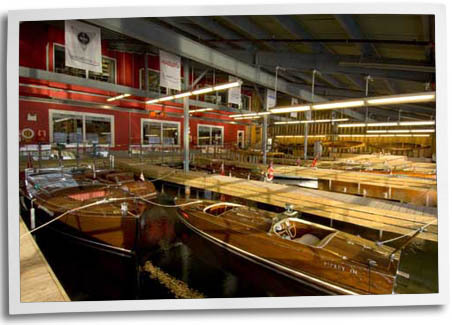 Rafters of Muskoka, who have been a destination store in Baysville for several years, has opened up a store across from the Fiery Grill. Old Mill Marina has also located next door to this, on the lake. Of course, all the old favourites -- Robinsons' General Store (STILL the best in Canada! ), Stares clothing store, Northern D'Lites are all open for the season. And, just outside of the village, along Hwy 117 is a great new addition. Pizza On Earth is open for the second year next door to Portico Timber Frames Construction. With four great pizzas to pick from -- the Traditional Margherita; The Bigwinner; Dorset Firetower and the Lake of Baysl, there's much to tickle the tastebuds. The pizzas are handmade, and baked in the stone oven right beside the shop. This is the brainchild of Sarah Jane Johnson, who got her dad, Brad to help her build the oven. The dome shaped clay oven itself is visually and architecturally impressive, as it was built using a design from 79 AD found in the ruins of the ancient Roman city of Pompeii. The spectacular oven and the cooking process, combined with the superior taste of the pizza are an extremely innovative way to ensure that the customers keep on coming to Pizza on Earth. Next door to the pizzeria are teh Dorset Community Gardens -- carefully overseen by these wonderfully whimsical flowerpot gardeners. An art studio is being added, so there is a lot to do while you're waiting for your pizza to come out of that magical oven, the way pizza was meant to be cooked! Here's Looking at You... while we Count the Ways. 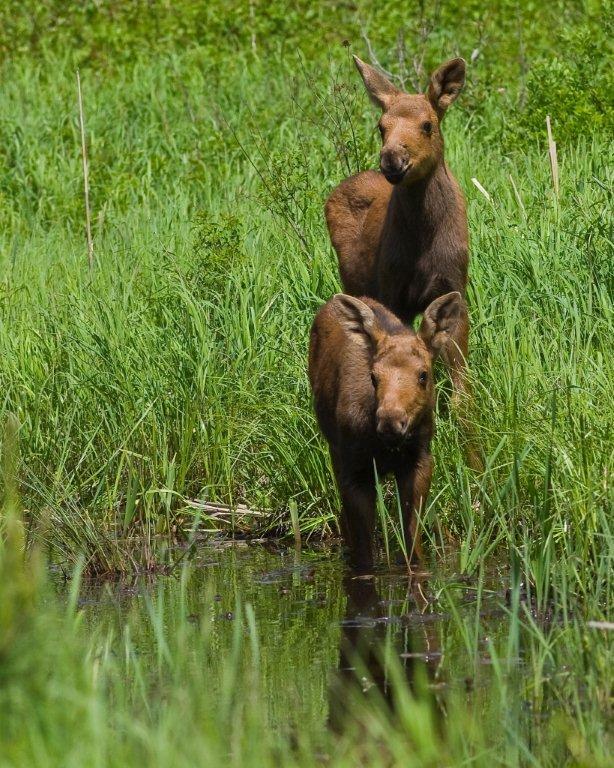 Our good friend Jerry sent along this recent photo of a pair of moose calves in Algonquin Park. This is the time of year to see the babies, still all legs and ears. How many moose are there in Algonquin Park? Well, it's a variable number... and not easy to collect. Moose are notoriously bad at returning their census forms. To get the most accurate estimate possible, naturalists simply count moose. This is done in winter, when the leaves are off the trees, and it happens from an airplane. Take Gravol -- you will be doing some swooping up and down. The Park is divided into blocks, and the plane flies each square while the Naturalist squints out the window against the winter sun and numbers off the moose. This is just part of the moose studies conducted in the Park. Our largest land mammal in North America, the moose is worth studying. Stay with us, and we'll provide you with a Pass into Algonquin Park, where you can spend a day trying to spot some of those 3490 or so moose! Moose, often described as a horse designed by a committee, may look a trifle unusual and ungainly, but they are superbly adapted to their environment. And when they are little, like this pair, they are just too darn cute for words. Labels: Algonquin Moose. Jerry Schmanda Photography. Bondi Village Resort. Lake of Bays. Muskoka. Ontario wildlife. This is one of our walking trails, winding down by the lake at the edge of our property. We have over 20 km. of trails -- some are only open in the winter, because they cross our black spruce bog -- lovely when it's frozen, but a trifle wet this time of year. A heaven for our froggy friends! 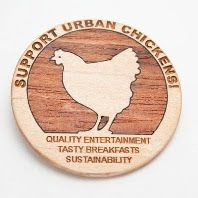 Speaking of 'critters' -- our free ranging hens are restful creatures to watch, and hilarious in the bargain. The puppy is still trying to learn that we do not require her to retrieve chickens, but on the whole they are co-habiting well. We have guests here this week who have been enjoying just walking by the gardens admiring the flowers... and why not -- this peony, just about to open after a rainshower, is something to soothe any soul. Be it hiking, wildlife/bird watching, spending time out on the water or just enjoying the peace and quiet, there are places and spaces for all of it here. Labels: Bondi village Resort. Muskoka. North Muskoka. Algonquin Park. Cottage resort. Ontario. The Dwight Garden Centre is a dangerous place, this time of year. Everything is a blaze of colour, almost overwhelming to the senses. The place looks just beautiful, the selection is extraordinary, and the service always comes with a smile. Labels: Dwight Garden Centre. Lake of Bays. Lakes, Trains, Parks, BBQs and Beer -- Father's Day Special! Wondering what to do to Celebrate Dad? Why not come to Muskoka for the weeeknd. 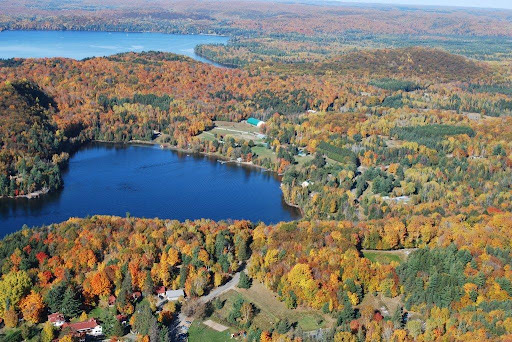 Stay with us at the Lake of Bays. Cool off in our lake -- it's supposed to be a HOT weekend, according to Environment Canada. Hike our trails, canoe, play a round of Frisbee Golf on our course. Or drive up into Algonquin Park for the day -- a Park Pass is included in our rates. Take in the Train Show in Huntsville on Saturday, topping it off with a ride on the Portage Flyer -- what's not to like about trains? Go fish... Drop a line in the lake on Sunday morning, or simply hang out and relax --- everyone can use more of that these days! Then on the way home, drop in to the Gravenhurst Wharf: Take in the Grace and Speed museum featuring classic boats -- what Dad wouldn't enjoy that? Then board the S.S. Wenonah (named for Hiawatha's mother, in case you're wondering) for their special Father's Day Cruise. FIRST 30 RESERVATIONS RECEIVE A MUSKOKA BREWERY 6-PACK VOUCHER! For information or reservations on the BBQ and Beer Cruise please call 1-866-687-6667. To book your stay with us at Bondi Village Resort, call 1 888 300 2132, or 705 635 2261. Labels: BBQ Beer Cruise. 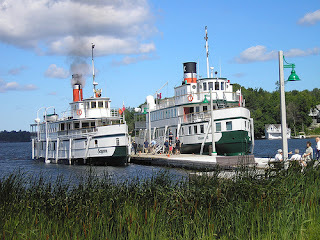 Muskoka Steamships. Train Show. Algonquin Park. Bondi Village. Father's Day Activities. FORE! No... it only cost TWO!! !